it's been a while since I've last showed you a holographic nail polish around here but this is about to change. 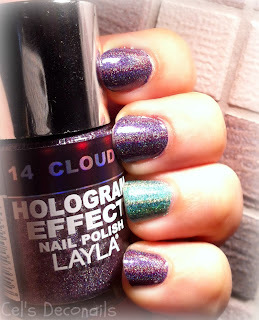 Recently I got my hands on a couple of Layla Hologram Effect nail polishes as I wanted to try them. The colours I chose were Cloudy Violet and Emerald Divine. Before I continue, I would like to let you know that I have a Facebook only giveaway running, to celebrate my Facebook page 1000 likes milestone. Just go to Cel's Deconails facebook page to see how you can take part. Back to the subject of nail polish, as I couldn't choose between the two, I decided to paint my nails with Cloudy Violet and use Emerald Divine as an accent colour on my ring finger. 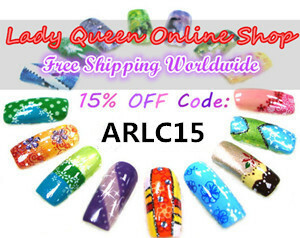 I used the NfuOh aqua base, applied two coats of the hologram effect nail polish on top and sealed everything with China Glaze Fast Forward top coat. 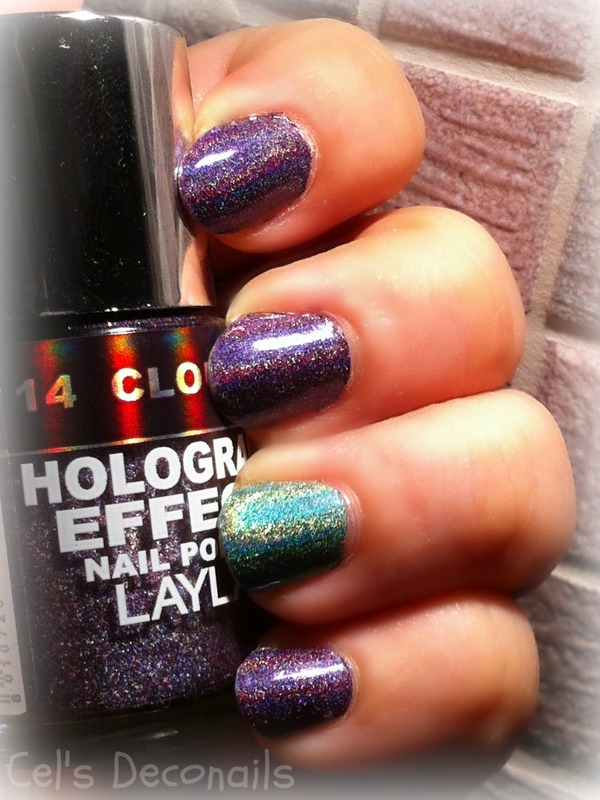 As you can see both colours look fabulous and Fast Forward didn't dull the holographic effect at all. All photos are taken inside under artificial light. I wish I had some photos under direct sunlight to show you but the weather has been cloudy lately so I didn't get a chance to snap any. ωστε το china glaze δεν σου θολωσε το αποτελεσμα ε?θα το δοκιμασω καποια στιγμη! <<3 Lovely combination! I'd love to try Emerald divine myself. There are a couple of other shades that seem interesting. The chocolate brown one for example. Αυτό που φοράς εσύ φαίνεται τόσο όμορφο!